Central Vigilance Commission (CVC) is an apex Indian governmental body created in 1964 on the recommendations of the Committee on Prevention of Corruption, headed by Shri K. Santhanam to address governmental corruption and to to advise and guide Central Government agencies in the field of vigilance. 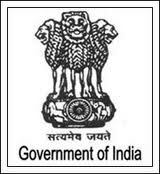 It has the status of an autonomous body, free of control from any executive authority, charged with monitoring all vigilance activity under the Central Government of India, and advising various authorities in central Government organizations in planning, executing, reviewing and reforming their vigilance work. The CVC is not an investigating agency, and it either gets the investigation done through the CBI or through the Departmental Chief Vigilance Officers.Corruption investigations against government officials can proceed only after the government permits them. The CVC publishes a list of cases where permissions are pending, some of which may be more than a year old. The CVC has also been publishing a list of corrupt government officials against which it has recommended punitive action. To inquire or cause an inquiry or investigation to be made on a reference made by the central Government wherein it is alleged that a public servant being an employee of the Central Government or a corporation ,established by or under any Central Act. Government company, society and any local authority owned or controlled by that Government, has committed an Offence under the Prevention of Corruption Act- 1988. Exercise superintendence over the vigilance administration of the various Ministries of the Central Government or corporations established by or under any Central Act,Government companies, societies and local authorities owned or controlled by that Government. has acquired such financial or other interest as is likely to affect prejudicially his functions as a Central Vigilance Commissioner or a Vigilance Commissioner. Arising out of the case of Vineet Narain vs. Union of India , the Supreme court had directed the Central Government to confer statutory status to Central Vigilance Commission , which was hitherto an advisory body, and also made it responsible for effective supervision of the functioning of CBI. Who is the Head of the CVC and Why is it called Central Vigilance Commission? The Central Vigilance Commissioner, who is of the rank of Chairman, Union Public Service Commission, heads the CVC. Because, the jurisdiction of the Central Vigilance Commission extends to all Central Government Departments, Central Government Companies including nationalised Banks and Central Government Organisations. The Annual Report of the CVC not only gives the details of the work done by it but also brings out the system failures which leads to corruption in various Departments/Organisations, system improvements, various preventive measures and cases in which the Commission's advises were ignored etc. Can the CVC investigate a case against anybody? Firstly, the CVC is not an investigating agency. The CVC either get the investigation done through the CBI or through the Departmental Chief Vigilance Officers. Secondly, the CVC orders investigation in to cases of officials of Central Government Departments/Companies/Organisations only. 23 July, 2011 : CVC for honesty lessons in schools (TOI): The Central Vigilance Commission has asked the Central Board of Secondary Education to explore ways to increase lessons on integrity and honesty in school curriculum.The move is part of efforts to fight corruption which has become "all pervasive" with which "we cannot make any compromise", newly-appointed central vigilance commissioner Pradeep Kumar told TOI. "In India, there is growing anger against corruption, so business cannot go on as usual," he added. "Ultimate root cause of corruption is human greed. So we have to inculcate right values in our people, especially children. Our effort must be to inculcate a culture of integrity, especially among children," Kumar said. The CVC was trying to leverage technology to improve the system and fight corruption, he said. Vigeye, a software that enables people to file complaints through mobile and web platforms, was being effectively used, he said. A statutory body that has supervisory role over issues of corruption in central government, PSUs and other autonomous bodies, CVC would also work towards improving e-procurement strategies of departments, and strengthening internal audits, he said. Dear Prime Minister, Please act now! !